In this Apple Pencil tutorial, you’ll learn about force, touch coalescing, altitude, and azimuth, to add realistic lines and shading to a drawing app. I know that many of you have got yourself a gorgeous new iPad Pro and snagged a Pencil to go along with it. If you’re anything like me, once you’ve experienced the awesomeness of drawing with Pencil, you’ll want to include support for it in all of your apps. I’ve been waiting for something like this device since I purchased the original iPad. As you’ll see from my scribbles, I’m no Rembrandt, but I’ve found Pencil is also great for taking notes. 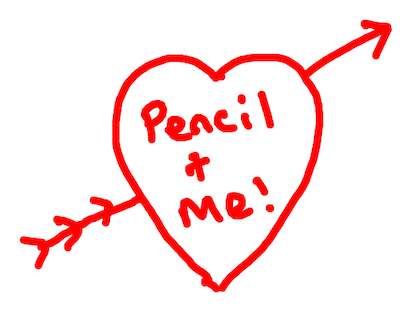 I can only imagine what kinds of amazing works of art people will create now that there is Apple Pencil. 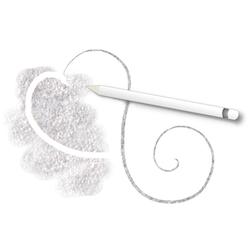 By the end of this tutorial, you’ll be ready to integrate Apple Pencil support into your apps! An iPad Pro and Apple Pencil. You cannot test Pencil on the simulator. Also, Pencil doesn’t work with older iPads, just the iPad Pro. Sounds like you’ve got your excuse for an upgrade! At least Xcode 7.1 with at least iOS 9.1. Throughout this Apple Pencil tutorial, you’ll build an app called Scribble. It’s a simple app that lets you draw with responsive UI, e.g. 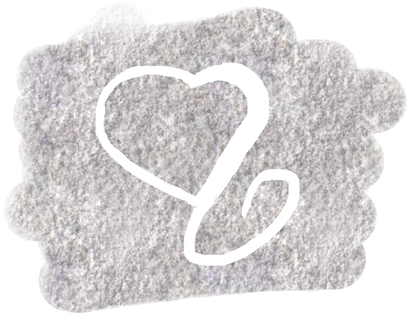 pressure sensitivity and shading. 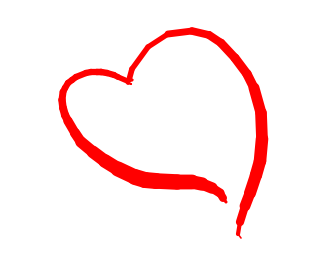 Download and explore Scribble. Try it out on your iPad Pro, with both Pencil and your finger, making sure to rest your hand on the screen as you draw. You’ll see that unlike previous iPads, palm rejection is automatic, although you’ll have to be careful to rest a large area of your hand because smaller areas are read as touches. Shake the iPad to clear the screen — just like an Etch-A-Sketch! 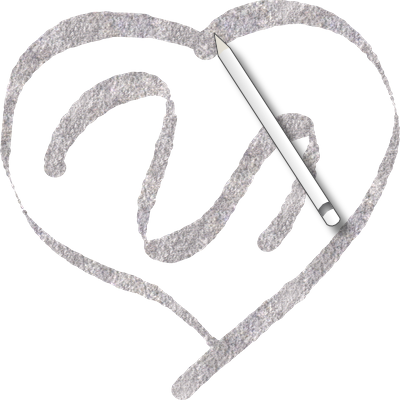 Under the hood, Scribble is a basic app that consists of a canvas view that captures the touch from finger or Pencil. It also continuously updates the display to reflect your touch. Take a look at the code in CanvasView.swift. The most important code can be found in touchesMoved(_:withEvent:), which is triggered when the user interacts with the canvas view. This method creates a Core Graphics context and draws the image displayed by the canvas view into that context. touchesMoved(_:withEvent:) then calls drawStroke(_:touch:) to draw a line into the graphics context between the previous and current touch. touchesMoved(_:withEvent:) replaces the image displayed by the canvas view with the updated one from the graphics context. Drawing with your finger has never been elegant, even in a digital environment. Pencil makes it much more like drawing the old analog way, with the basic UI of a pencil and paper. You’re now ready to use the first feature of the Pencil — force. When you press harder against the screen the resulting stroke is wider. This feature doesn’t work with your finger, although there is a little cheat that you’ll learn about later. You can tweak this forceSensitivity constant to make your stroke width more or less sensitive to pressure. Find lineWidthForDrawing(_:touch:). This method calculates the line width. Here you calculate the line width by multiplying the force of the touch with the forceSensitivity multiplier, but remember this only applies to Pencil and not to a finger. If you’re using your finger, touch.force will be 0, so you can’t change the stroke width. 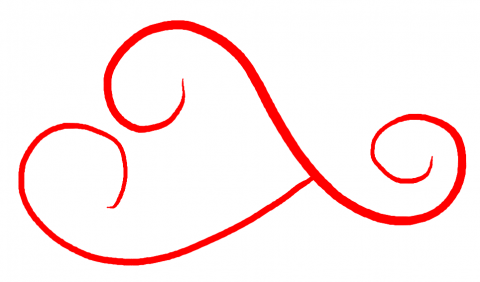 You’ll notice that when you draw, the lines have sharp points rather than a natural curve. Before Pencil, you had to do complex things like convert your strokes to spline curves to make drawings look decent, but Pencil makes this sort of workaround largely unnecessary. Apple tells us that the iPad Pro scans for a touch at 120 times per second, but when the Pencil is near the screen the scan rate doubles to 240 times per second. The iPad Pro’s refresh rate is 60 Hz, or 60 times per second. This means that with a scan of 120 Hz it could theoretically recognize two touches but only display just one. In addition, if there’s a lot of processing behind the scenes, the touch event could be missed altogether on certain frames because the main thread is occupied and unable to process it. Apple came up with the concept of coalesced touches to deal with this problem. Essentially, they capture the touches that would have been lost in a new UIEvent array, which you can access via coalescedTouchesForTouch(_:). First, you set up a new array to hold all the touches you’ll have to process. Check for coalesced touches, and if they are there, you save them all to the new array. If there aren’t any, you just add the one touch to the existing array. Add a log statement to see how many touches you’re processing. Finally, instead of calling drawStroke(_:touch:) just once, you call it for every touch saved in the new array. Turn your attention to the debug console. 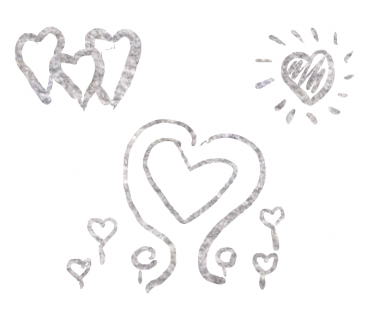 You’ll notice that when you’re drawing with Pencil rather than your finger, you receive many more touches. You’ll also notice that even with coalesced touches, circles drawn with Pencil are much rounder simply because the iPad Pro scans for touches twice as often when it senses Pencil. In this section, I’ll describe how you measure the tilt. you’ll get to add support for simple shading in the next section. The altitudeAngle property on UITouch is new to iOS 9.1, and is there just for the Apple Pencil. It’s an angle measured in radians. When Pencil lies flat on the iPad’s surface, the altitude is 0. When it stands straight up with the point on the screen, the altitude is π/2. Remember that there are 2π radians in a 360 degrees circle, so π/2 is equivalent to 90 degrees. There are two new methods on UITouch to get azimuth: azimuthAngleInView(_:) and azimuthUnitVectorInView(_:). The least expensive is azimuthUnitVectorInView(_:), but both are useful. The best one for your situation depends on what you need to calculate. Build and run. With the iPad in landscape orientation — Scribble is landscape only to keep this tutorial focused on Pencil — hold your pen so that the point is touching on the left side of the screen, and the end is leaning right. You won’t be able to get these values in the debug console with satisfactory precision, but the vector is approximately 1 unit in the x direction and 0 units in the y direction — in other words (1, 0). 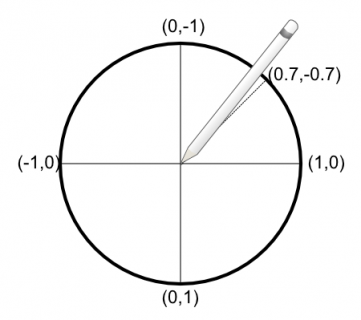 Rotate Pencil 90 degrees counter-clockwise so the tip is pointing towards the bottom of the iPad. That direction is approximately (0, -1). Note that x direction uses cosine and the y direction uses sine. For example, if you hold your pen as in the picture above — about 45 degrees counter-clockwise from your original horizontal direction — the unit vector is (cos(45), sin(-45)) or (0.7071, -0.7071). Note: If you don’t know a lot about vectors, it’s a useful bit of knowledge to pursue. Here’s a two-part tutorial on Trigonometry for Games using Sprite Kit that will help you wrap your head around vectors. Remove that last print statement when you understand how changing the direction of Pencil gives you the vector that indicates where it’s pointing. Now that you know how to measure tilting, you’re ready to add simple shading to Scribble. When Pencil is at a natural drawing angle, you draw a line by using force to determine the thickness, but when the user tilts it on its side, you use force to measure the shading’s opacity. You’ll also calculate the thickness of the line based upon the direction of the stroke and the direction in which you’re holding the Pencil. 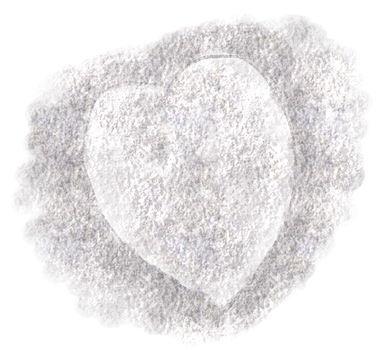 The first order of business is to change the texture of the line so that it looks more like shading with a real pencil. 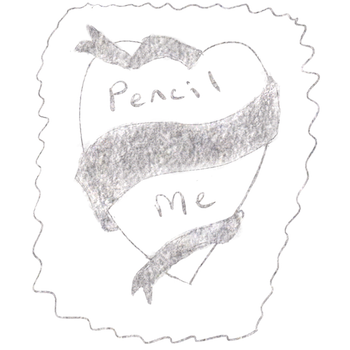 The starter app includes an image in the Asset Catalog called PencilTexture to use for this. This will allow you to use pencilTexture as a color to draw with, instead of the default red color you’ve used up until now. 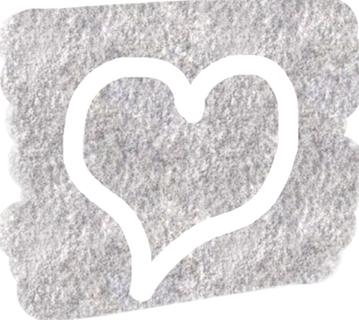 Note: In this tutorial, you’re using a texture in a rather naive way. Brush engines in full-featured art apps are far more complex, but this approach is enough to get you started. If you find that this value doesn’t work for you because you hold it differently, you can change its value to suit. Note: To type π hold down Option + P at the same time. π is a convenience constant defined at the top of CanvasView.swift as CGFloat(M_PI). When programming graphics, it’s important to start thinking in radians rather than converting to degrees and back again. Take a look at this image from Wikipedia to see the correlation between radians and degrees. Here you're adding a check to see if your Pencil is tilted more than π/6 or 30 degrees. If yes, then you call the shading method rather than the drawing method. Store the previous touch point and the current touch point. Store the azimuth vector of the Pencil. Store the direction vector of the stroke that you're drawing. Calculate the angle difference between stroke line and the Pencil direction. Reduce the angle so it's 0 to 90 degrees. 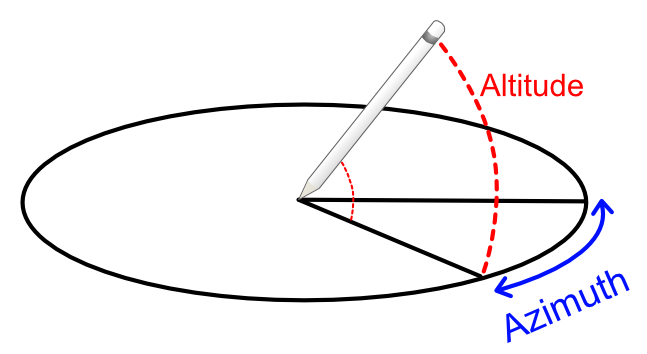 If the angle is 90 degrees, then the stroke will be the widest. Remember that all calculations are done in radians, and π/2 is 90 degrees. Normalize this angle between 0 and 1, where 1 is 90 degrees. Multiply the maximum line width of 60 by the normalized angle to get the correct shading width. Build and run. Hold Pencil at about the angle indicated in the picture, as is you're going to shade. Without changing the angle, do a little shading. Notice how as the stroke direction changes it becomes wider and narrower. It's a bit blobby here with this naive approach, but you can definitely see the potential. One more thing to do: When you draw at 90 degrees with a real pencil, the line gets narrower as you change the pencil's tilt angle. But, if you try that with your Apple Pencil, the line width stays the same. In addition to the azimuth angle, you also need to take into Pencil's altitude into account when calculating the width of the line. Note: Make sure you add this code to lineWidthForShading(_:touch:), and not lineWidthForDrawing(_:touch:) by mistake. There's a lot to digest here, so let's take this bit by bit. Theoretically, the minimum altitude of Pencil is 0 degrees, meaning it's lying flat on the iPad and the tip isn't touching the screen, hence, altitude can't be recorded. The actual minimum altitude is somewhere around 0.2, but I've made the minimum to be 0.25. If the altitude is less than the minimum, you use the minimum instead. Just like you did earlier, you normalize this altitude value to be between 0 and 1. Finally, you multiply the line width you calculated with the azimuth by this normalized value, and add that to the minimum line width. The last task in this section is to make the shading look a bit more realistic by turning down the texture's opacity, which you'll calculate with force. After working through the previous blocks of code, this one should be self-explanatory. You're simply taking the force and normalizing it to a value between 0 and 1, and then setting the alpha used by the drawing context to that value. If you're anything like me, you've probably made a few sketching errors here and there and wish you could erase those errant lines. In this section, you're going to look at how you can distinguish between using the Apple Pencil and your finger. More specifically, you'll configure the app so that your finger can play the role of a faithful eraser. It turns out that checking whether a finger or the Apple Pencil is being used is pretty easy -- you just use the type property on UITouch. Here you set eraserColor to the view's background color, unless it's nil, in which case you just set it to white. Here you've added a check to see whether it's Pencil or a finger, and if it's the latter you change the line width and use the eraser color for drawing. Build and run. Now you can clean up any untidy edges or erase everything with your finger! Just as an aside, did you know that since iOS 8 you've been able to fake force with your finger? There's a property declared on UITouch called majorRadius, which, as its name implies, holds the size of the touch. Finger painting feels really clumsy and the drawings are painful after you've played around with the elegant Apple Pencil. :]. You might think that your Pencil zooms over the surface of the iPad with the drawn line following closer than ever. Not so much -- it's an illusion because there is latency between the touch and the time the line renders. Apple has a trick up its sleeve to deal with it: Touch Prediction. Before you can begin working with predicted touches, there's one small technical obstacle to overcome. 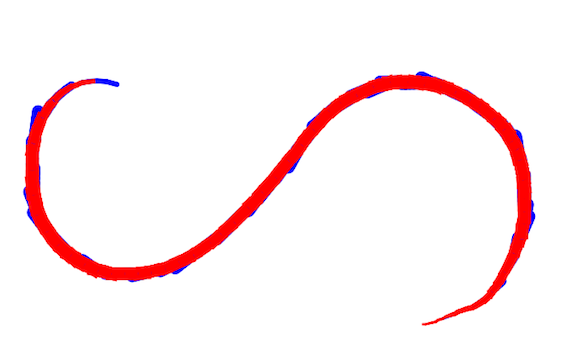 At the moment, you're drawing strokes in the graphics context, which are then displayed immediately in the canvas view. You'll need to draw the predicted touches onto the canvas but discard them when the actual touches catch up with the predicted ones. 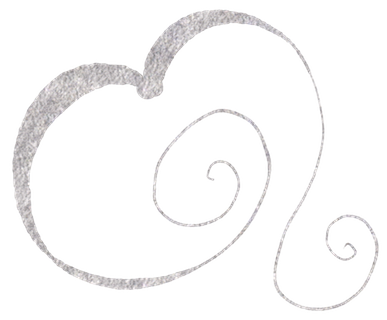 For example, when you draw an S-shape it predicts the curves, but when you change direction, those predictions will be wrong and need to be discarded. This picture illustrates the problem. The "S" is drawn in red and the predicted touches show in blue. You'll create a new UIImage property named drawingImage to capture the true -- not predicted -- touches from the graphics context. On each touch move event, you'll draw drawingImage into the graphics context. The real touches will be drawn into the graphics context, and you'll save it to the new drawingImage instead of using the image property on the canvas view. The predicted touches will be drawn into the graphics context. The graphics context, complete with predicted touches, will be pushed into canvasView.image, which is what the user will see. In this way, no predicted touches will draw into drawingImage and each time a touch move event occurs, the predictions will be deleted. There's a little housekeeping in order to ensure those predicted touches are properly disposed of at the end of the stroke or when the user cancels the drawing. Here you're drawing drawingImage into the graphics context, rather than the image being displayed at that time by the canvas view. This will overwrite any predicted touches drawn by the previous move event. You save the graphics context with the new stroke that's been drawn but don't include the predicted strokes. Like you did with the coalesced touches, you get the array of predicted touches and draw the strokes for each predicted touch. These are called at the end of a stroke. By replacing the image with drawingImage when a touch ends or is cancelled, you're discarding all the predicted touches that were drawn onto the canvas. One last thing: You'll need to clear both the canvas and the true drawing when you shake to clear. 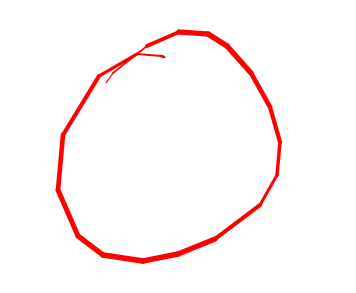 Here you clear both images of any drawing that you've done. Note: When you run the second code sample at the end of this tutorial, you'll be able to visualize what predicted touches actually do. You'll see an option to replace the texture with a blue color just for the predicted touches. Apple's algorithm for predicted touches is astonishingly good. It's the little subtleties like this one that make it a pleasure to develop for Apple platforms. Congratulations! You have now completed a simple drawing app where you can scribble and enjoy getting artsy with your Pencil. :] You can download the finished project to see the final result. I'm also providing a second project that has buttons to turn coalesced and predicted touches on or off, so that you can visualize their effects. Apple's WWDC video on touches has a great section on how coalesced and predicted touches work with the 60 Hz frame rate. Watch it to see how latency has improved from 4 frames in iOS 8 to 1.5 frames in iOS 9.1. Pretty spectacular! FlexMonkey (aka Simon Gladman) has done some really creative things with the Pencil that go well beyond just drawing with it. Take a look at his blog, especially the Pencil Synthesizer and FurrySketch. I hope you enjoyed this Apple Pencil tutorial - I'd love to see as many apps as possible integrating this very cool device. If you have any questions or comments please join the forum discussion below!